Well, we have not written a blog post in forever. Sorry about that! It has been a very busy year. We just celebrated our 14th shop birthday and decided to add in yarn after many yarn folks have asked us about yarn over the last few years. Soooo……we shopped for yarn over the last few months, made and plan, closed the shop for two days last week to move things, freshen up the paint (thanks to Taffy) and price and put out the yarn that has come in so far. Take a gander at the pretty yarn in our pictures. We have more coming this fall. 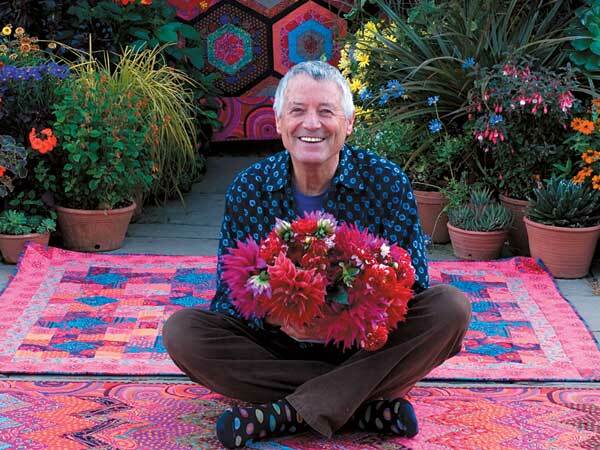 Join us at SCAD Atlanta for a fabulous lecture and power point presentation by Kaffe Fassett. The lecture will be at the Atlanta campus of the Savannah College of Art and Design 1600 Peachtree St NW Atlanta, GA 30309 in the event space 4C. Doors will open at 5:30pm with the lecture beginning promptly at 6pm and a book signing to follow. We will have light refreshments and will have books available for purchase while supplies last, although it is far safer to purchase one ahead of time and bring it with you. We suggest you make an afternoon of it and come to the campus early to beat the traffic, get a good parking space and see the gallery exhibit in Gallery See. You can even get a cup of coffee in their Hub to perk you up. When you arrive at SCAD pull into the drive on the east side of the building (the left side if you are facing the building) and follow to the back of the property into the parking garage. You can enter the building on the first or second floors of the garage and take the elevator right up to the event space to see the Gallery See. We suggest you do not park in the visitor spots toward the front of the property (unless the lot is full at that point) and enter at the front as the front of the building is locked at 7pm and you cannot go back out that way.